Bianca Boarding House, so called "Queen of the Boarding Houses", is located in the center of Izvorul Mureşului resort, next to the DN12 national road, close to the source of Olt and Mureş rivers. 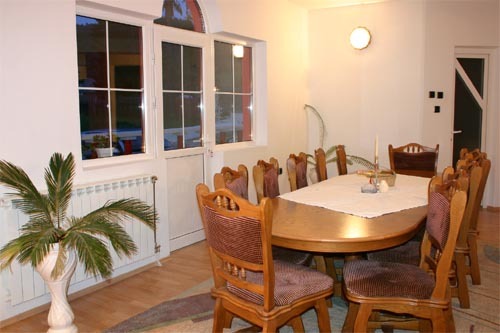 The boarding house has a 100 m2 living-room, conference room / dining room for 44 persons, totalizing a 60 square meters area, sauna, gym, 10 places parking lot, its own heating system (two systems) and satellite television (280 programes). 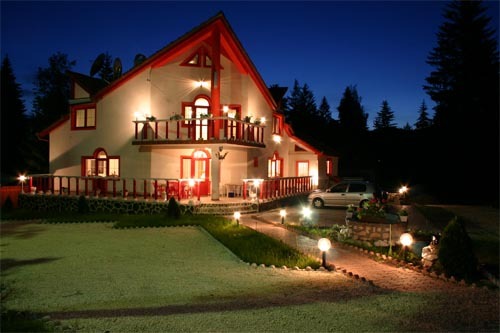 Izvorul Mureşului resort, placed on DN12, at 890 m altitude, 35 km from Miercurea Ciuc, 20 km from Gheorgheni, has the strongest, the purest, and the most ozonified air in the country. 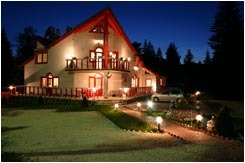 Its climate has high temperatures during the day, colder in the evenings and rich in snow in winter time. 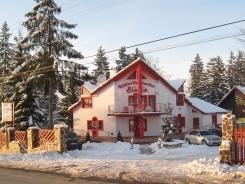 As for fun in Izvorul Mureşului resort you have ski- and skate-tracks, discoteque, football and tennis fields, or the tourists can go for trips to Arama neagră peak, Şugău cave, Piatra Unică (Unique Rock) from Hăşmaş Mountains - a natural monument, Cabana Singuratică (Lonely Cottage), Adormirii Maicii Domnului Monastery. 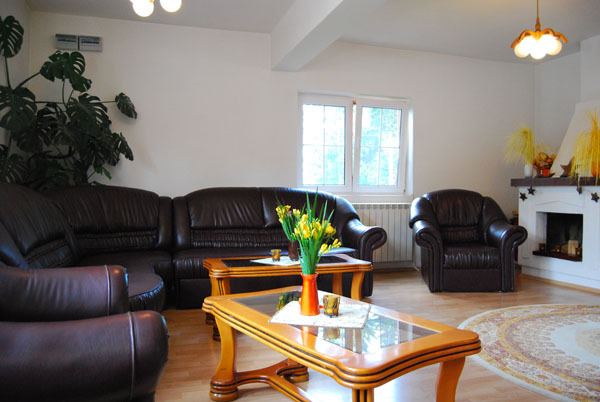 Complementary to the wonderful conditions for spending some pleasant days on the mountain, Bianca boarding house offers and guarantees you highservices, the best romanian and transilvanian specialties, together with modern and elegant accommodation. 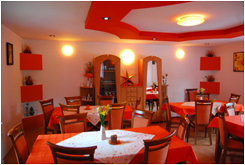 Ileana Constantin and Katalin family - your host - is inviting you to spend some unforgettable moments at Bianca boarding house.